Krug NV was young and powerful, citrus, with a lot of minerals. Yet, the minerals are slightly harsher than the Krug 1998. Krug 1998 was slightly more elegant, less youthful, but still citrus. A better balance in general. Both of them are still too young to consume. 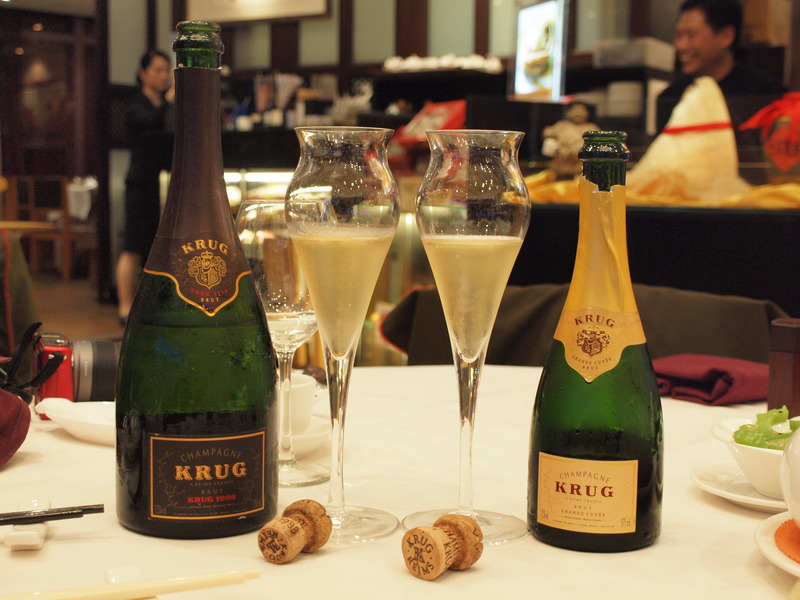 This entry was posted in Champagne, Wine and tagged Krug 1998, Krug NV. Bookmark the permalink.